Our/Vodka was the brainchild of CEO Åsa Caap and founded in 2010 by a team of entrepreneurs in Stockholm, Sweden. It was treated as a "black ops" secret project within Pernod Ricard before the first distillery opened in 2013 in Berlin. Our/Vodka invests in and builds micro-distilleries while local people run the business, produce and sell the vodka, giving it their spin on their city. Our/London focusses on its vibrant food scene, working with the city's hottest restaurants and foodies who take care to choose quality ingredients with strong provenance. Our/Berlin promotes the city itself and the urban locality of its micro-distillery champions the design talent that surrounds it, highlighting the bottle's unique aesthetic. Our/Amsterdam highlighting the bottle's unique aesthetic and possibility to personalize. Our/Detroit concentrates on empowering a city formerly on its knees leveraging the unique multi entrepreneurial story to the project and Our/Los Angeles wants you to take the half sized bottle with you to all of LA's microclimates. Our/New York will be managed by local skate wear entrepreneur and artist Dave Ortiz - a co-founder of DQM. (Dave's Quality Meats) . Growing up in East New York in the 70s and 80s, Dave Ortiz was swept up in the graffiti and skate culture zeitgeist before developing parallel careers in the skate wear industry while simultaneously pursuing fine art. 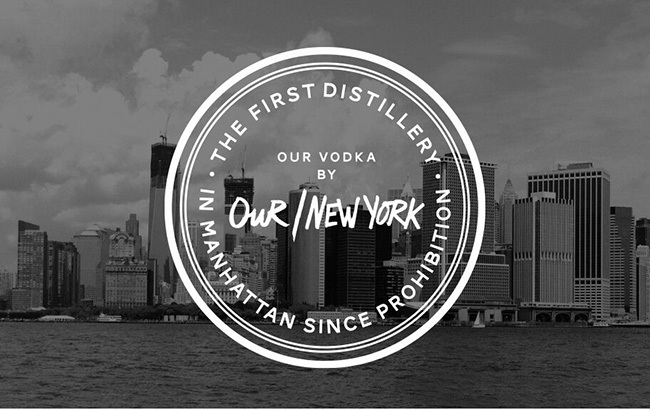 He says of the venture: "When Our/Vodka approached me about Our/New York, it sounded too good to be true at first, but Our/Vodka isn't based on superficial brand ideas; it's based on real people combined with real expertise and I was immediately attracted by the opportunity to grow a brand that New Yorkers can really identify with." Each city sources ingredients as locally as possible while never compromising on quality giving each vodka its own unique flavor profile. The vodka is partly distilled, blended in small batches, and hand-bottled at each micro-distillery. Our/New York is a corn-based super-premium vodka and is blended using New York City drinking water for a vodka that is smooth, fresh and pure with a slight grain and fruity note. Located at 151 West 26th Street in Chelsea in the heart of Manhattan between Sixth and Seventh Avenues, the Our/New York distillery will also feature a combined public tasting room, bar and retail shop. The space will also serve the community as a gallery and event space. Visitors will be welcome to stop by the distillery for drinks, tours and tastings starting May 25th 2018.